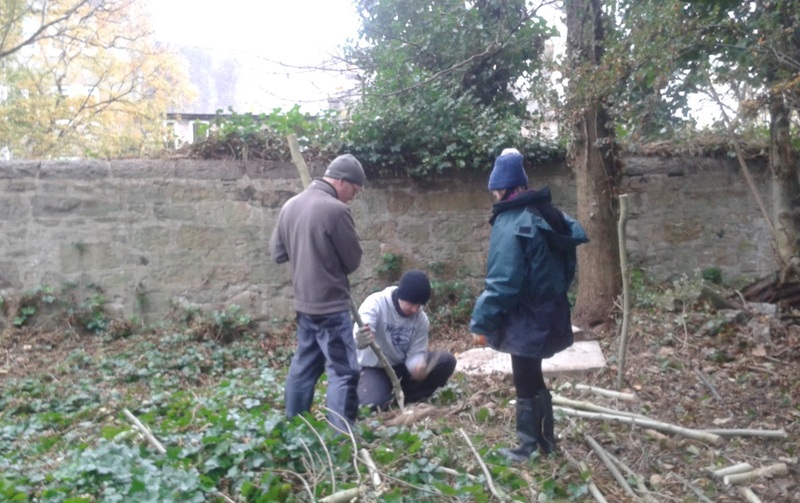 Throughout November and December the Edinburgh Mid Week volunteer group has been full of activity, visiting some old favourites along with some great new sites. 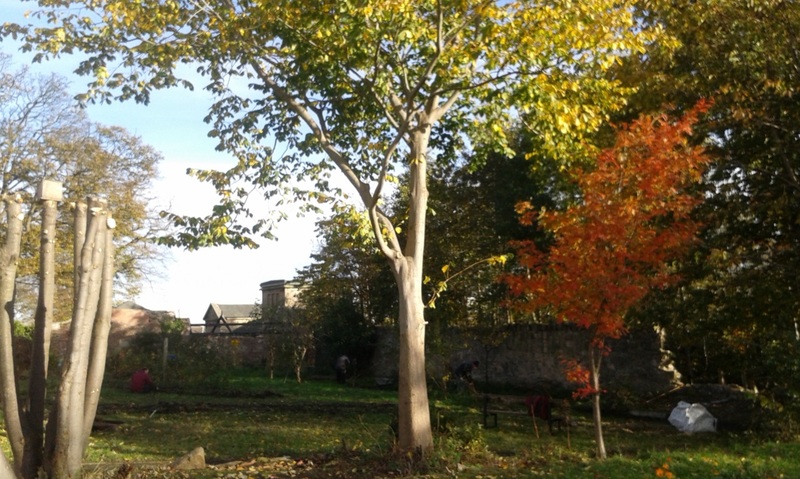 We’ve been extremely lucky with the weather, with mostly beautiful sunny (but sometimes chilly days) and only a couple of days with rain (not that that would stop us!). 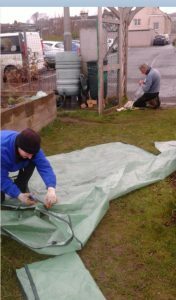 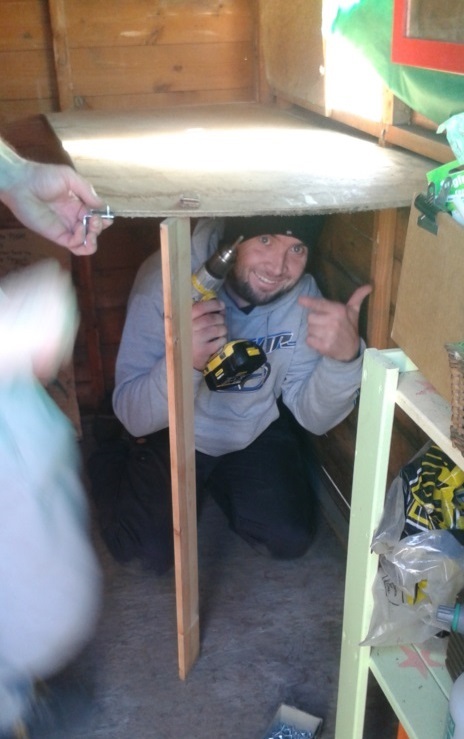 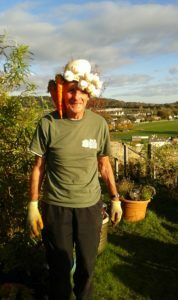 At the start of November the group were back at the wonderful Friary Community Garden in Inverkeithing. 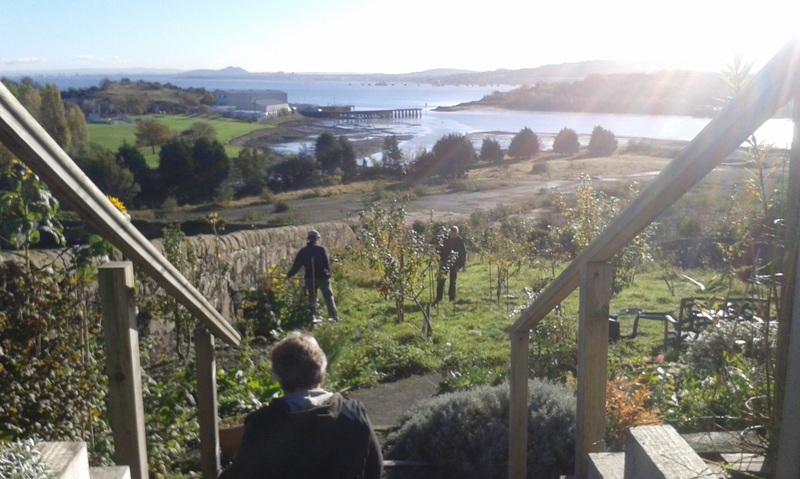 There’s always a great variety of tasks to keep the gang busy here and it’s always a pleasure working here as we are treated to a spectacular view across the Firth of Forth. 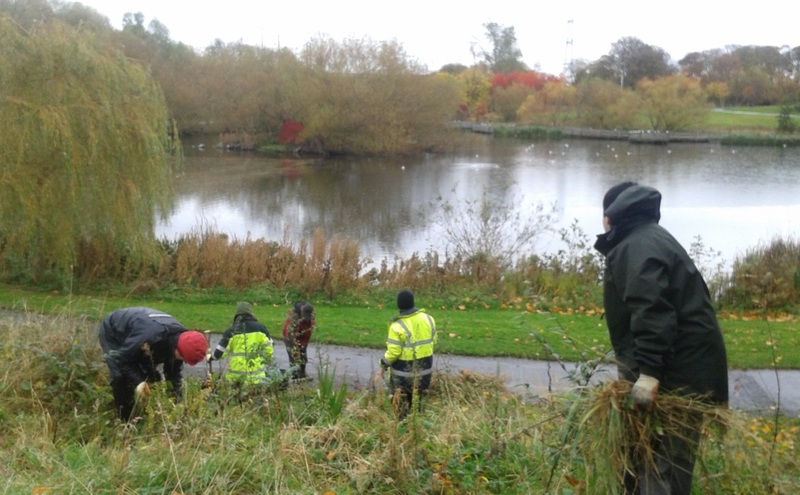 Speaking of amazing views, the volunteers have also been back to the beautiful Starbank Park in the north of Edinburgh numerous times. 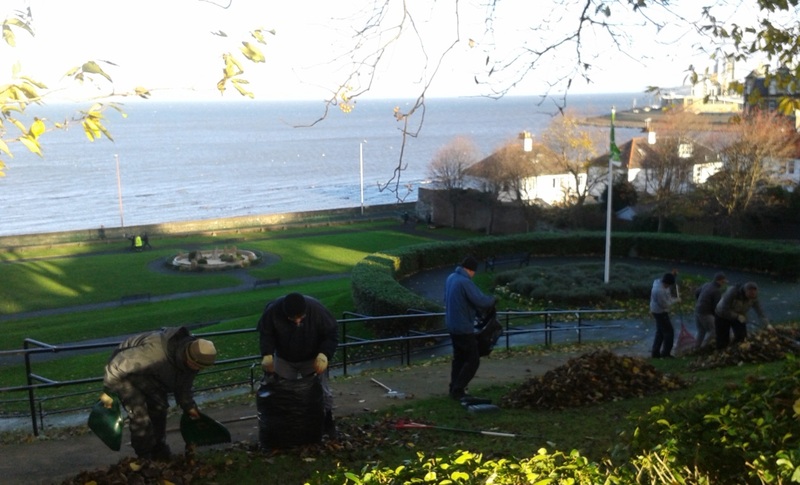 Here we’ve been continuing to help them to neaten up their footpath borders and to clear the autumn leaves around the park. 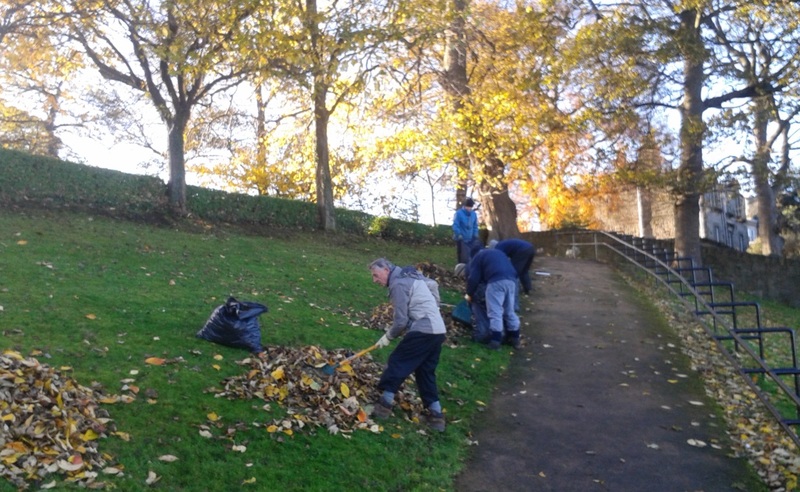 The lovely Friends of Starbank Park are always on hand with cakes and other yummy treats to keep our volunteers going (which, given the steep incline of the park, is much needed after carting bag after bag of leaves up the hill to the compost bins!). 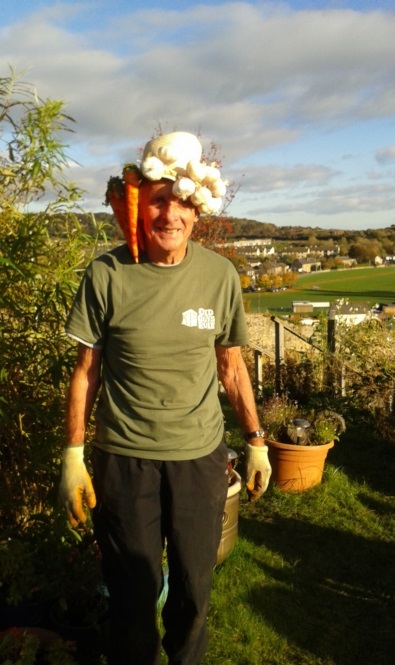 Continuing the theme of tasty treats to keep our volunteers going, we’ve been back to Gracemount Walled Garden several times where their amazing chef always has a small feast for us to enjoy at lunchtime. 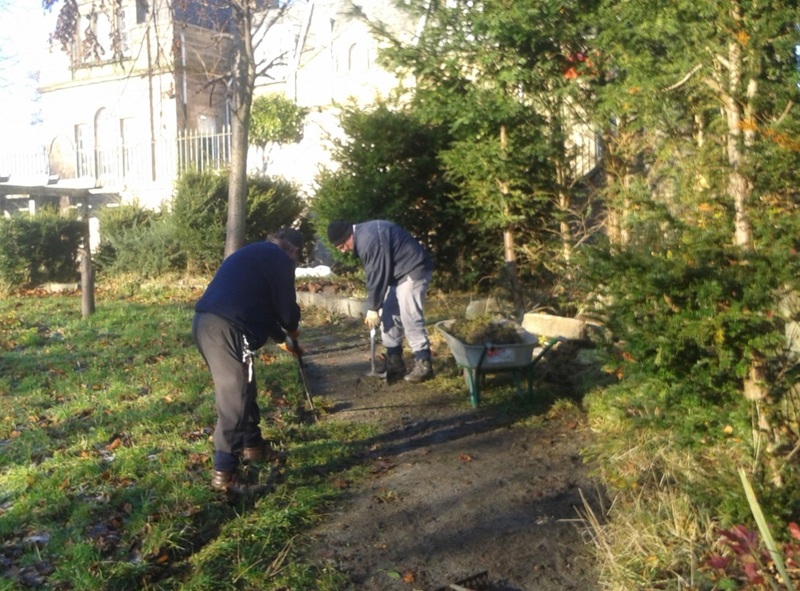 In order to earn their lunches the volunteers have been hard at work improving the footpath around the garden and continuing to maintain the woodland to the rear of the garden. 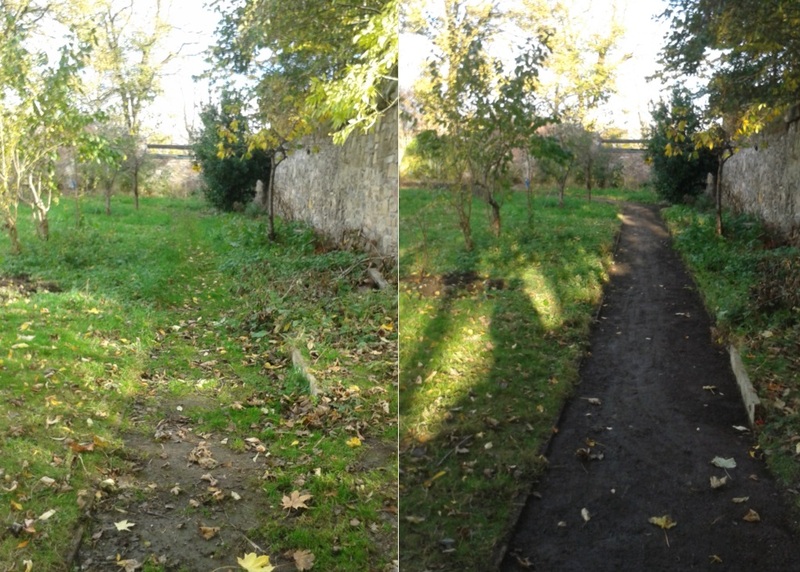 Here the group have done a fantastic job of cutting back the trees and widening the footpath to improve access to the garden from the local park. 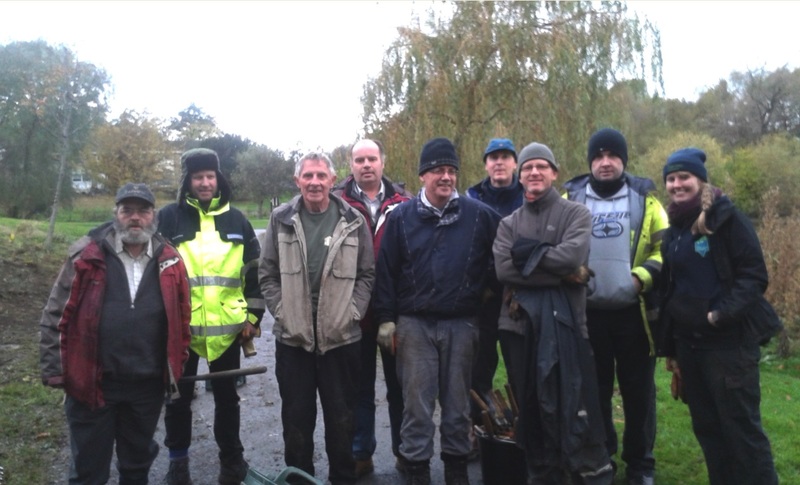 We’ve also had the pleasure of working at some fantastic new sites in the last couple of months. 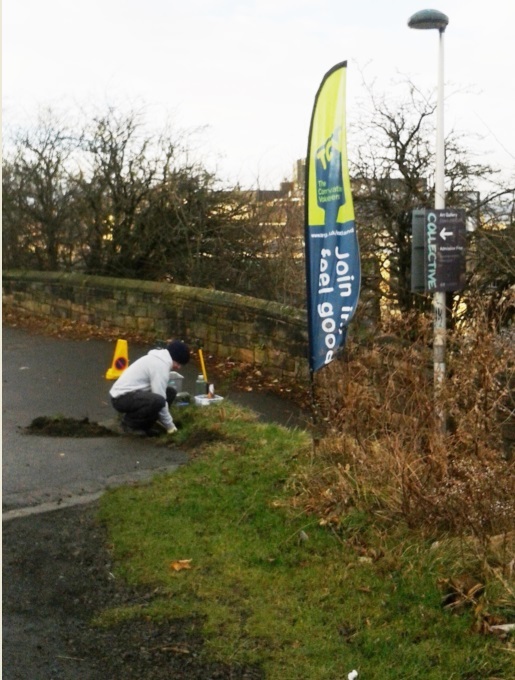 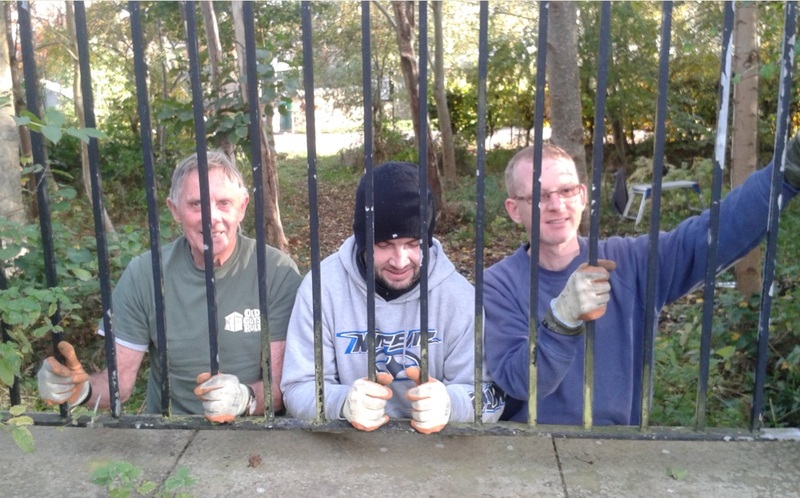 First off was Warriston Cemetery where the volunteers helped to plant lots of bulbs (mainly daffodils ready for next Spring) and helped to create some new dead hedging using material from around the cemetery. Next up was the fantastic Figgate Park tucked away in the east of the city near Portobello. 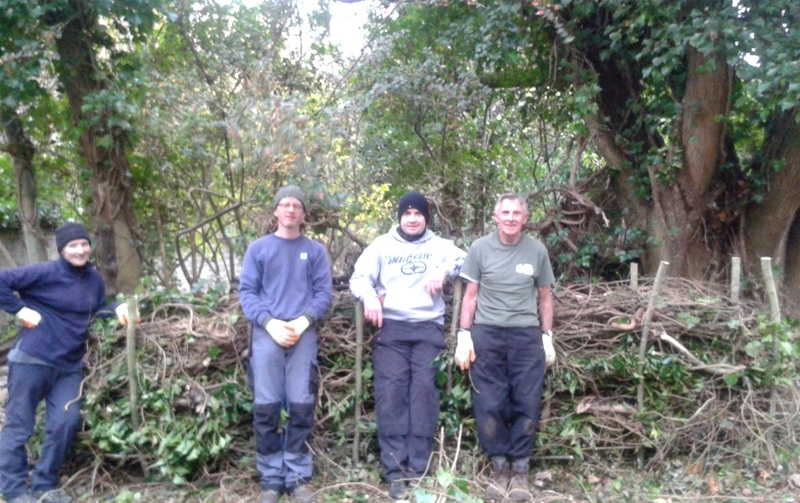 Here the volunteers spent the day helping to uncover some amazing bug hotels that had been completely overwhelmed by vegetation. 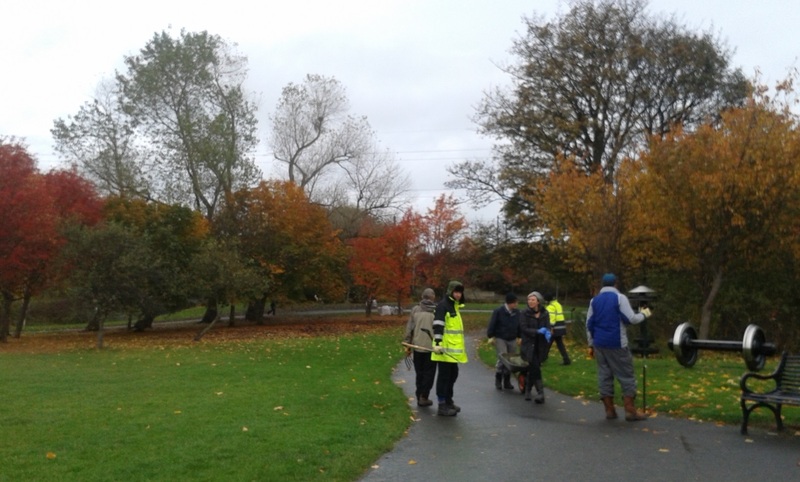 It was a site that none of our volunteers had visited before and all of them were blown away by the beauty of the park and thoroughly enjoyed their day. 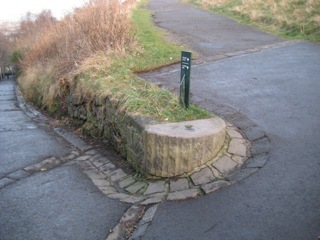 Last but not least, the group had the chance to work right in the heart of Edinburgh’s city centre on Calton Hill, a popular tourist hot spot thanks to its brilliant views across the city. Here the volunteers primarily helped with footpath maintenance; straightening the path borders and clearing vegetation. 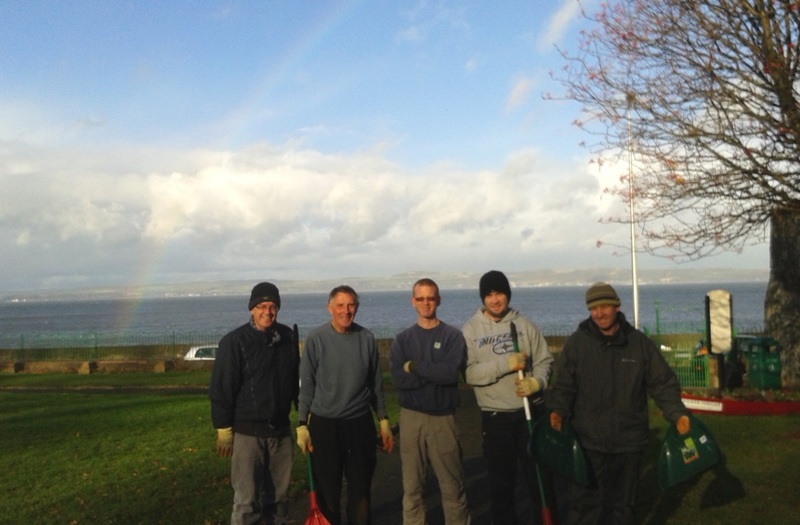 Now as winter closes in it’s almost time for us to hang up our waterproofs for the Christmas break, so from everyone here at TCV Edinburgh have a very Merry Christmas and a Happy New Year!